Eighty percent of Greenland is covered by ice. That makes it an inhospitable setting, certainly, but it’s “a dream” for scientists, William E. Glassley writes. In A Wilder Time, an account of the geologist’s research journeys, he conveys his impressions of this remote and forbidding landscape in poetic, enthusiastic language. Along with his research partners Kai Sørensen and John Korstgård, Glassley camps for weeks at a time in the wilderness of West Greenland. Icy water and mosquitoes make bathing a dreaded chore. Yet if the tundra is a bleak environment, it is consistently brightened by unexpected encounters with the natural world—everything from bumblebees and Arctic wrens to the Fata Morgana. From the smallest lichen to the most imposing fjord, it is a place of wonders. When Glassley first arrived, the distance from the hustle of everyday life gave him space to reflect on his divorce and the completion of his PhD. 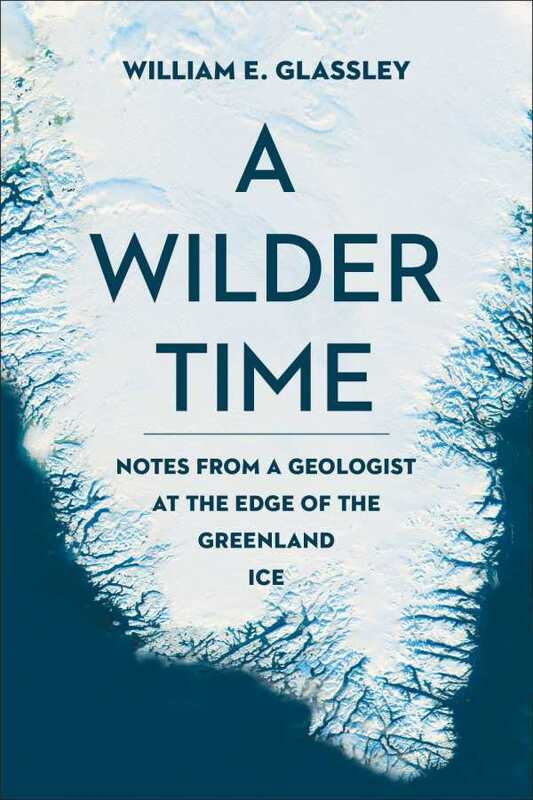 Greenland still offers him silence in which to meditate on the way time makes its mark on human lives as well as on the landscape: he fancifully calls Earth a “manuscript” that documents the course of evolution. Descriptions of fieldwork—the recording of observations plus the collection of samples to send back to the lab—will appeal to readers of Hope Jahren’s Lab Girl, while diagrams, a timeline, and a glossary of geological terms ensure that laypeople never get lost along the way.